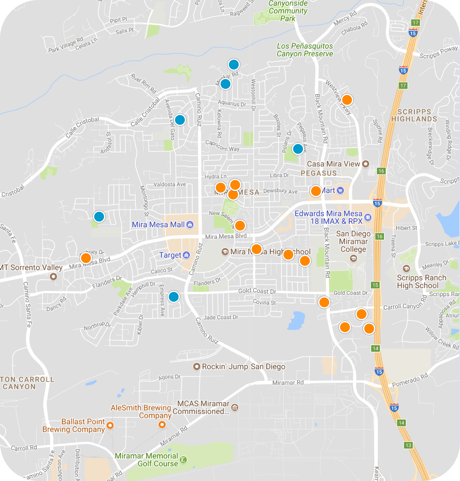 San Diego Home Sales website search offers all Mira Mesa homes, condos and foreclosures for sale. You are able to get new property listings daily that meet your search criteria. A large suburb of San Diego, Mira Mesa, California, lies about 18 miles directly north of the downtown San Diego area, just north of the Marine Corps Air Station Miramar and just west of Interstate 15. It is bounded by , the Los Peñasquitos Canyon to the north and Interstate 805 to the west. The community's western region is home to a large business and technology center referred to as Sorrento Valley, which is a huge driver of employment across the region. Mira Mesa was founded in the 1950s to support the U.S. military's Naval Air Station just south of it. 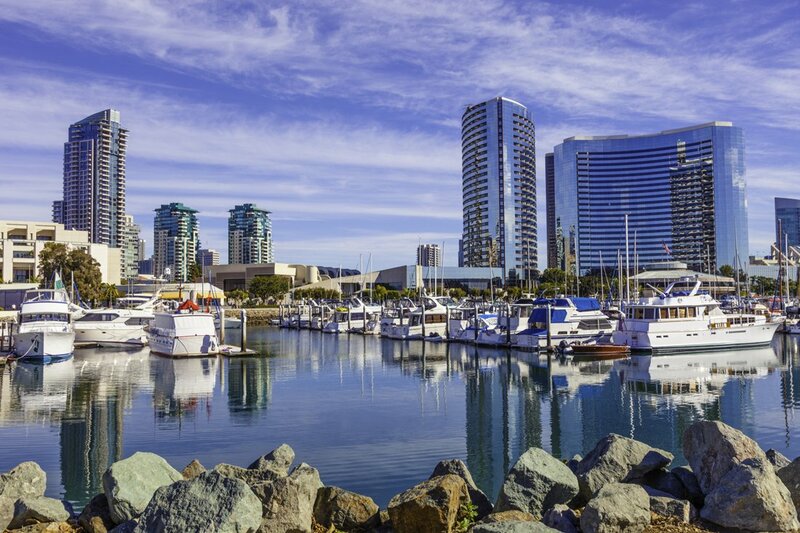 It has now grown to be one of San Diego's largest communities, with a population of around 80,000. Residents have a median annual household income of about $63,000. Some of the major companies located here include the Qualcomm and TelCentris's headquarters as well as establishments for Sony Online Entertainment, Texas Instruments, Vulcan Materials Co., Gen-Probe, and Quintiles. Because of its location near the military establishment, there are also a large number of residents who are members of or civilian employees in the military. There are a number of festivals and events held in the community throughout the year for residents and visitors alike to enjoy, including the Mira Mesa Street Fair at the end of September, a Fourth of July parade and fireworks display, a Halloween celebration, and an event to celebrate the Philippines' independence from Spain, as Mira Mesa is home to a large Filipino population. Parks and attractions include El Camino Memorial Park, Los Penasquitos Canyon Preserve, Hourglass Field, the Mira Mesa Shopping Center and the Clairemont Town Square Shopping Center, and Miramar Memorial Golf Course on the naval base. Lake Miramar is just east of the community over the interstate. The community has six public elementary schools, two public middle schools and three public high schools. Additionally, there are three private schools and the Miramar College two-year institution. Allian International University is just across the interstate to the east. Heritage At Concord Square Iii Bldg.